let&apos;s talk about comfort food, I rarely resort to that but sometimes, like today it can be a tool. 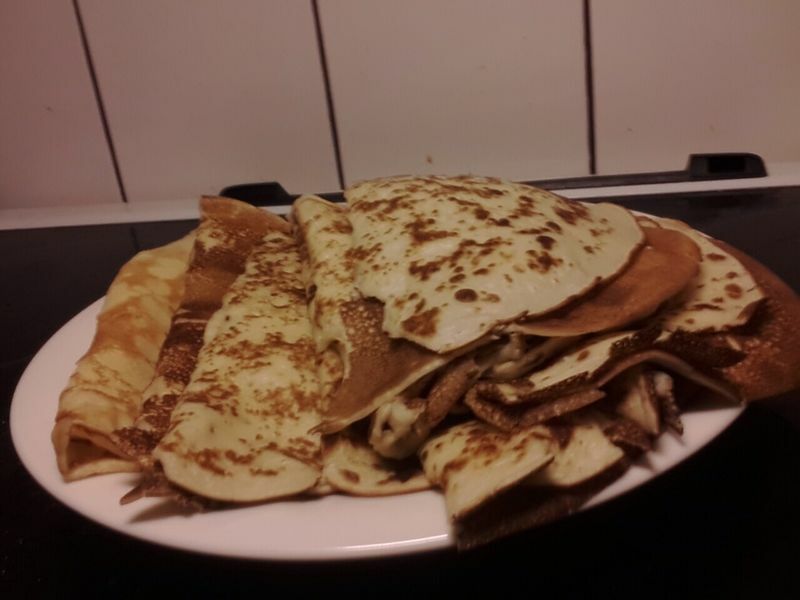 So I decided to make pancakes as they&apos;re quite easy to do and very filling. And it was both very good and very filling, eating pancakes always take me back to when my grandmother came to visit with my family and she made her super good pancakes, I think that what made them so delicious was that they had more eggs and half cream and half milk. And today I tried that and apparently I&apos;m something on track here. Otherwise today, no step goal reached as it poured down rain today, in fact, it woke me up this morning dripping in my balcony railing. If this warm weather continues until Sunday, all the snow will be fine by then. I&apos;m grateful for the memories of great childhood with good relations with my grandparents.